The morning I flew out of the Farmington airport with Bruce Gordon, from ecoFlight, I had to leave Albuquerque long before the light of dawn. And while I didn't have much time for sight-seeing, I did take a few minutes to stop along the road in Lybrook, New Mexico, where drillers were flaring off excess gases from the oil wells. Even in the daylight, the scene along Highway 550 is pretty dramatic these days. Later, when I reached Farmington and met up with Gordon, local experts, and other reporters, I learned that some folks had flown over the area the night before to see what the flares look like after dark. According to a handout from the US Bureau of Land Management (BLM), drillers inject nitrogen into the wells when employing the practice of hydraulic fracturing, or "fracking." According to the BLM handout, that nitrogen needs to be burned off before the oil can be transported to market. Many people worry, however, that flaring may be releasing more than just nitrogen–and may include natural gas and methane, a greenhouse gas that contributes to climate change. "It just seems so wasteful and so poorly conceived, and kind of heartbreaking, in my mind, that as a society we're willing to just sort of squander things that have known environmental problems and economic value," says Mike Eisenfeld, New Mexico Energy Coordinator for the nonprofit San Juan Citizens Alliance, of oil well flaring practices in the San Juan Basin. "And in our quest to just get things done, we're just not very thoughtful." 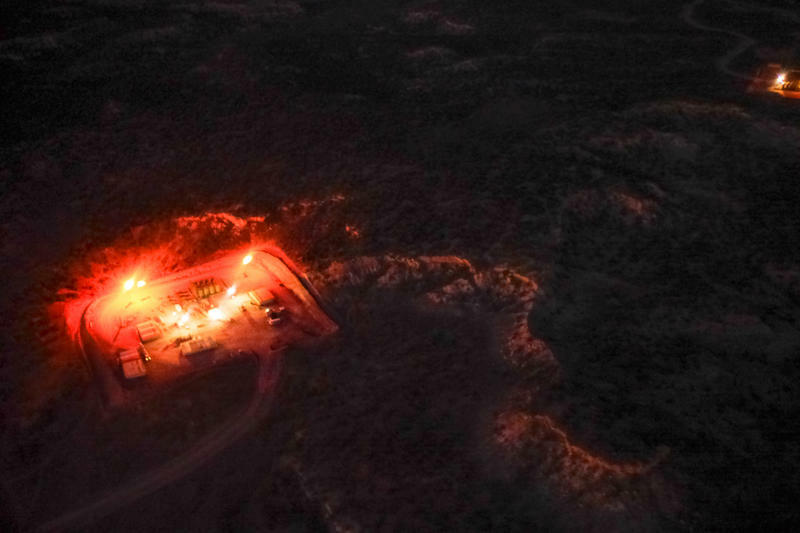 The BLM has plans to update its rules on venting and flaring of methane -- and earlier this year announced its plans for public meetings in Washington, D.C., North Dakota, and New Mexico.